A 150 seats restaurant, a few apartments and 144 beds in room of 6 or 8 spot are also included in the sports center. Do not hesitate to contact us to get your personalized offer. The Audemars Piguet factory draws from its unique inheritance mixing tradition, experience and savoir-faire to push away the borders of the high watch making and reinvent rules perfectly mastered by its watch-making craftsmen. Audemars Piguet, a watch-making tradition anchored in the Vallée de Joux since 1875. During the last yeram Raiffeisen has establish itself as the leader of banking activities and is the third éost important bank group of Switzerland. Raiffeisen is happy and proud to be part of the XTERRA Switzerland as a main partner. 1/6th profits of the lottery are redistributed to amateur and professionals sports; XTERRA Switzerland benefits from the support of the Lottery of French-speaking Switzerland. Then friends triathletes, the next time when you are tried by the big fortune, do not hesitate to affix your 6 favorite figures and who knows, maybe it will belong to you to offer yourselves the bike or even the Olympic swimming pool of your dream ! Planet endurance is the local specialist for running and trails. More than 60 pair of shoes, for men and women are proposed after biomechanical tests. The offer is widened with triathlon and ski-climbing equipment. To sum up, this is the place to be if you need running shoes. Since 1833, The watch-making factory knew how to find in the Vallée de Joux the just balance between nature and culture, innovation and traditions, growth and environmental protection, international brilliance and local implanting. For all these reasons, jaeger-Lecoultre makes a commitment beside the Xterra Vallée de Joux. All our products are 100% natural. Our objective is to propose you all our energy bars with biological ingredients from the Fair trade. We bring a particular attention on the defense of the nature, our favorite playground, by using recycled and recyclable materials as well as vegetable ink for our boxes display stands. Rivella, the unique, fresh and light drink. Ideal in any situationm Rivella, the official drinkf of Switzerland had to be a partner of XTERRA Switzerland. The Swiss Hotel Association includes every type of accomodation in Switzerland. From the cottage to the most luxurious hotel, find a hotel just like you. The active holiday offerings from Bikeholiday are as diverse as its guests: experienced competitors, recreational athletes, interested newcomers who want to try a new sport, and guests who prefer to spend their active holidays at a more relaxed pace – they’re all a part of the mix ! We welcome singles, couples and families. the shared sporting experiences in the spectular surroundings are unforgettable. 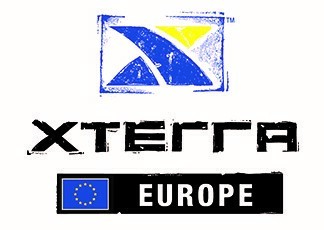 XTERRA is the premier off-road multisport brand in the European Union with races in 16 countries providing top competition for professionals and amateurs alike. Multiple distances for all abilities and events for the entire family including trail runs and kids races. Uncompromising functionality and comfort hold first priority in the Skinfit philosophy. Our products feature maximum moisture transfer, temperature management, ergonomic cuts, elasticity, low pack weight, and attention to detail. Elle Erre – designing and printing customized advertising flags and banners Easy – Flag woven of various shapes and sizes ( sailing flags , flags drip , board , beach flags etc.) , Gazebo Professional custom , advertising mats , seat cushions , ottoman cube and inflatables for events. Located in Borex, near Nyon in Switzerland, our B-cycles store provides a wide range of road and mountain bikes for men, women and children, as well as various quality services. Whether for the purchase of a new bike, textiles, accessories or for the revision and maintenance of your mount, our team will be happy to advise you with you, professionalism and smile. What color is the color of your radio ? ROUGE, of course !Rouge just like the effort De quelle couleur est votre radio ? ROUGE bien sûr. Red as the colour of the effort supplied by the participants of the XTERRA. The sound of your favorite station will give rhythm to your day on the site of XTERRA Switzerland.